Firefox is the second by number of users, after Chrome. Its popularity is not least due to the large number of settings allows you to change the appearance and functionality of the program to your liking. ConfigFox new utility makes the process faster and more convenient. Experienced Firefox users know that, except for those options that are presented in your program, there is still a separate special page that contains a huge amount of extra features. That’s just to access it you need to type a special address in the browser, to the same search, and modify the relevant options on it can not be called comfortable. Utility ConfigFox solves the above problems. 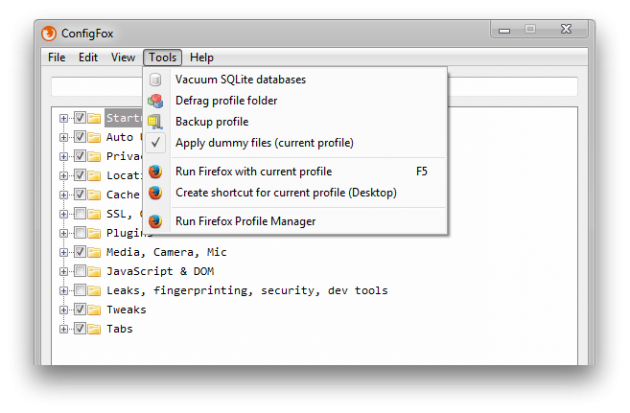 With it you can easily and safely manage the hidden settings of the browser Firefox. 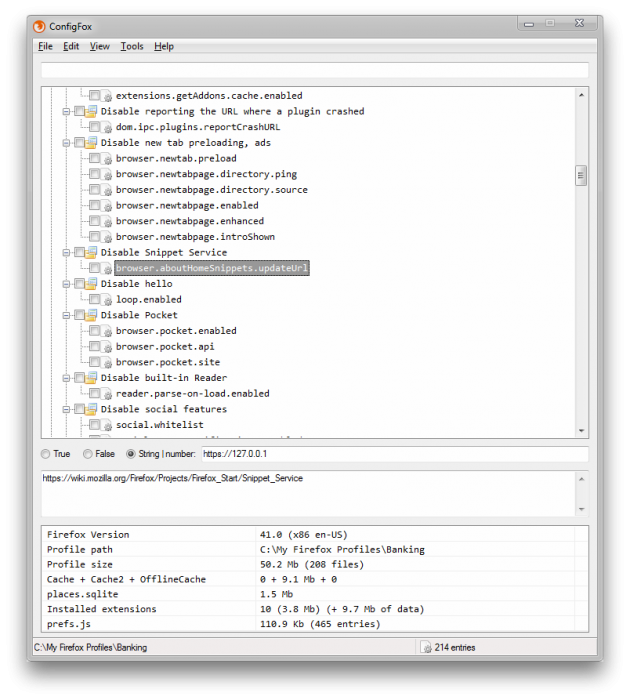 All of them are grouped by themes, so you do not need a long time to find the necessary settings. 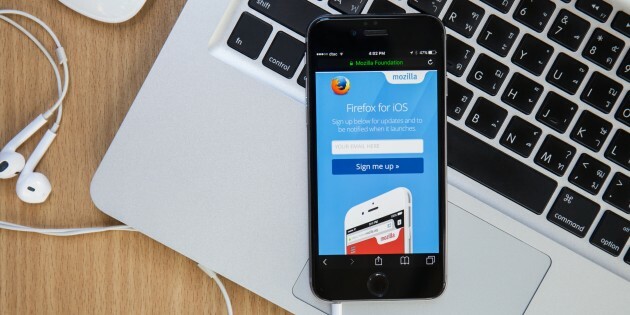 For example, to disable the built-in Firefox support service Pocket in the usual way, you will need to find among the hundreds of entries required several keys, which is quite difficult.With ConfigFox same operation can be done in a few seconds by simply checking the box next to the folder Disable Pocket. Besides, ConfigFox provides all the necessary tools to work with user profiles. With this program you can create a new profile, make a backup copy of an existing, defragment and compress records for faster browsing. Utility ConfigFox distributed as an archive, requires no installation and runs the operating system Windows (32- and 64-bit). You can download the program on this link.